We’ve got it covered. Whether you call it your mountain home, vacation home, second home, or retirement home, the last thing you want with your dream home in Western Carolina is a bunch of worries. Noticing a home disaster is easy . . . preventing one is extremely difficult, even for the experts. With Proxy on your team, an experienced technician is looking after the home in a methodical and professional way to help ensure that disasters are avoided and your investment is well protected. Weekly home visits help mitigate the set of risks that are unique to this part of the country . . . like high winds, curious bears, deep freeze temperatures, very high humidity, and potential vandalism. A Year Round Home Management service is available to those who want to free themselves from the maintenance and repair hassles of home ownership. 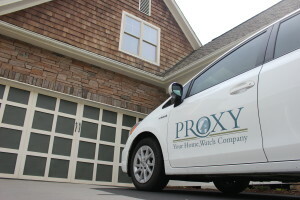 Proxy is licensed, bonded, and insured. Pricing starts at $300/month and is customized to the home and client needs. Copyright ©2019 Proxy | All Rights Reserved.